Fear Report was formed as an unnamed project in 2009 when Dan Berry and Rob Trail started jamming music together. Following a number of line-up changes and also enlisting the help of engineer Anthony Rock Gallo (who has worked with both Seether and Shinedown), the band has released their debut album ‘Pandemic’. To be honest the whole 90s grunge thing personally left me cold and seemed to render any band with a focus on melody redundant and I was glad to see the back of it! So I was somewhat cautious when a quote from Rock Sound magazine claims this band could save the world of rock ‘n’ roll; does it really need saving I casually enquire? Their name and album title make it clear this is not high five party on music but predictable songs of torment and anguish such as ‘Marina Trench’ aptly displays. What so many fail to understand is this style of music has become as much a cliché as the worst offending hair bands of the eighties; we have replaced the party attitude and chasing girls with concerns with death and troubled thoughts. Then again maybe I am getting ahead of myself here as its not all gloom. Clearly ‘The Chair’ is a hybrid of Metallica and The Dead Kennedys and bounces along on some good head banging fuel. You cannot help but feel ‘Wasting’ has some deep thoughts in the lyrics but without reading them it is all a little self important and directionless. If music that touches on a great many human emotions and also if alternative rock is your thing then I think there is a lot to recommend here, both ‘Bloodrust’ and ‘Repo Man’ tick the right boxes of both attitude and first class musicianship. 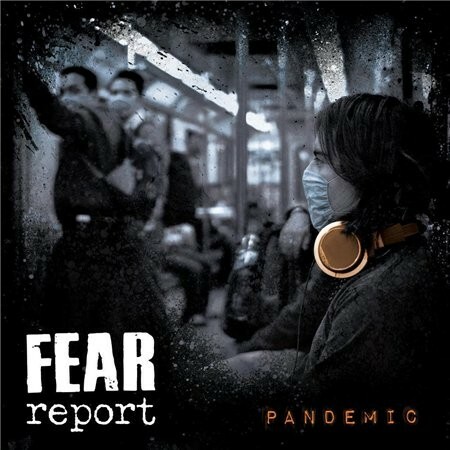 Fear Report clearly know their craft and they deliver in spades in the genre they are aiming at but for the some it is likely to be all just a little too left field.